I just wanted to take the time to remind everyone about all the different ways WHS communicates with the Waldwick community. We have so many great things going on here at Waldwick High School, which is why I try to post the information in as many places as possible. The information below I have posted before but wanted to share it again. 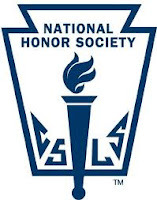 The NHS Induction Ceremony will be held on Thursday, April 26th at 7pm in the Little Theater. For the third consecutive year Waldwick High School and the Sean Fisher Memorial Foundation have teamed up the Gift of Life Foundation, and CardiacScan Imaging to promote an education and screening program on healthy lifestyle. The screening program is offered at no cost to the freshman class ONLY and will take place at the Waldwick High School throughout the week of April 2nd during school hours. In order for a freshman to take advantage of this opportunity two forms must be filled out and returned to the main office before Wednesday, March 26th. The forms are attached to this email as well as posted on the high school website. Link to Heart Screening Paper Work If you have any questions please see/call/email Mr. Carroll or the school Nurse Mrs. Willer. Our speaker is a registered nurse. PLEASE TAKE ADVANTAGE OF THE SPEAKERS GENEROSITY IN OFFERING THEIR TIME TO SPEAK WITH WHS STUDENTS ABOUT THIS CAREER. SIGN UP TODAY! If you need assistance with the sign-up instructions, please come down to Guidance. The Career Cafés will be held on a monthly basis during the students lunch period. Students who register via Naviance for one of the Career Café sessions MUST bring a brown bag lunch to school that day. Time is limited, so students will not have time to purchase a school prepared lunch. You cannot be late for a Career Café presentation, and no one will be admitted if they do not arrive on time. The presenters are volunteering their time to the students of WHS, and that time should be respected by being in your seat at the Career Café when the bell rings. 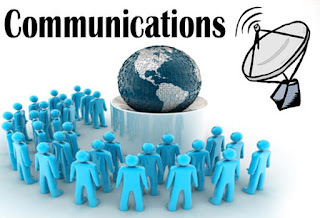 In our continuing effort to increase communication at Waldwick High School, Principal Kevin Carroll will introduce the use of Twitter (@WaldwickWHS) to "tweet" periodic updates about calendar events, student successes, sporting events, school closing and other useful information. The Naviance emails (WHS News) will continue to be the official source of information, along with our school website and the Waldwick High School Facebook Page. To receive these messages automatically on your computer or web-enabled mobile phone signup for a Twitter account. This only takes 2 minutes and you can begin receiving updates without searching the web. Start following @WaldwickWHS now by clicking on the link below. James has been a great leader and a tremendously hard working player for the Waldwick Warriors boy’s basketball team this season. He is usually the first to arrive at practice, and the last to leave. James has really improved throughout the season, making strides to become one of the best big men in our league. All of his hard work and commitment culminated in James outscoring and outplaying his match-up (who is a first team all-county selection) in the second round state playoff game on February 29th.